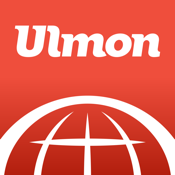 City Maps 2Go Lite by Ulmon GmbH makes navigation a breeze with all the maps you'll have available. A key feature of this iPad app is more than just the maps available but the fact it is all 100 percent accessible offline. That means if you're traveling you don't have to worry about data roaming or finding a WiFi connection. Once you download the app you'll be able to then use it anywhere. It's no surprise this app got mentions in BBC Travel, WallStreetJournal, and Time Magazine as there are over 6,700 interactive maps from around the globe found within the app. Sure it's great for traveling but it's even great for your own home town to help you locate addresses, businesses, and places. Its loaded with point of interest locations such as bars, restaurants, and shops. There are even links to Wikipedia abstracts regarding these attractions and sites. Other features include Wikipedia travel guides that are filled with information, images, maps, and attractions. You can search the map for a specific place and address, again while you're offline. As well you can use GPS to pinpoint your location and then to a nearby search. Can this be one of the best map apps for iPad? After you download the app you can then download any two maps for free. You can also add the Wikipedia travel guide for the two maps, also for free. City Maps 2Go Lite was updated on Apr. 9, 2013 and currently has nine customer ratings with an average rating of four and a half out of five stars. This map app comes in handy while traveling and at home. I really liked that you got a couple of free ones to get you started and used to the user interface before purchasing more. For: iPhone, iPod touch, and iPad with iOS 4.3 or later. City Maps 2Go Lite is optimized for iPhone 5.